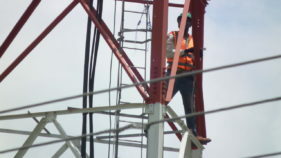 LAGOS and about 60 other cities in the North Central zone of Nigeria are on the verge of having improved broadband services, going by the planned push by the licensed Infrastructure Companies (InfraCos). MainOne Cable is in charge of Lagos and IHS is focusing on the North Central states of the country and Abuja. MainOne, which landed a submarine cable in the country, about four years ago and recently unveiled a Tier III data centre in Lagos, will provide InfraCo service to about 20 million people in the state. Analysts believed that Lagos offers huge investment returns because it is the commercial capital of Nigeria, where expansive and affordable broadband access would impact significantly on more than 12 per cent of the population and nearly 60 per cent value of corporate Nigeria. 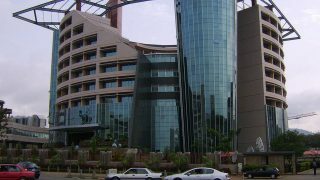 IHS, which operates about 22,000 towers across Africa in sharing deal, has been licensed by the Nigerian Communications Commission (NCC) to focus on states including Benue; Kogi; Kwara; Nassarawa; Niger; Plateau and the Federal Capital Territory (FCT), Abuja. A source privy to the development, told The Guardian at the weekend, that IHS will first of all focus on the cosmopolitan areas in the region it won. 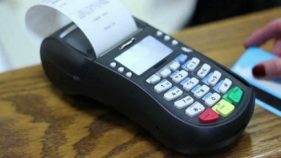 The cities, which are about 60 includes Benue: Makurdi, Gboko, Katsina Ala, Adikpo, Otukpo, Korinya, Makurdi Tar Vandeikya, Aliade, Otukpa, Lessel, Oju, Okpoga, Awajir, Agbede, Ikpayongo and Zaki-Biam. Kwara: Ilorin, Jebba, Offa, Oro, Esie, Omu-Aran, Lafiagi, Oke-Oyi, Pategi and Ajasse Ipo. Niger: Minna, Bida, Suleja, Kontagora, Lapai, Mokwa. Plateau: Jos, Akwanga, Bukuru, Barkin/Ladi, Pankshin, Shendam, Langtang and Vom. Kogi: Lokoja, Ajaokuta, Kabba, Okene, Idah, Koton-Karie, Dekina. Nassarawa: Lafia, Akwanga, Keffi, Kuru, Wamba, Eggon, Nassarawa and Doma. Currently, no broadband services can be found in any of these towns even where mobile Internet access does exist courtesy of mobile network operators. The Guardian further gathered that the likely changes expected of the InfraCos will include developing network connectivity; unlocking growth through broadband; promote infrastructure sharing; transform the beneficiary states to smart states; improving rural telephony; building new revenue streams for the government; transforming Nigeria into digital economy; providing wholesale Layer 2 transmission services on a non-discriminatory, open access, price regulated basis; deployment of metropolitan fibre and provides transmission services, available at access points in neighborhoods among others. According to the NCC, it planned to license seven InfraCos for the six geo-political zones of the country and Lagos, because of its peculiarity. While MainOne and IHS are gradually getting the plans off the ground, to accelerate the process and makes it more attractive to the investors, the Federal Government would also give tax holidays of between five and seven years to cushion their investments. 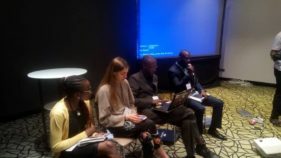 Minister of Communications Technology, Dr. Omobola Johnson, said as part of Nigeria’s drive to attract additional investments into the country’s vibrant Information Communications Technology (ICT) industry, the country would be focusing on the Open Access Model, which has been adopted for the licensing round, beneficiaries of the licenses shall get tax holidays to encourage the Infracos to invest and guarantee adequate returns on investments. Principal Partner of KPMG, Joseph Tegbe, consultants to the licensing regime, said the investors would be encouraged to veer into areas where many consider to be less commercially rewarding, through subsidy, and grants may be given out to further their interest in such areas. Tegbe said they will also be granted pioneer status as part of the incentives to boost their interest in investing in such areas or zones that may look unattractive. “Such Infracos will get such incentives that could be up to 30 per cent mark up on their capital expenditure (CAPEX) and employee tax holidays as well. To qualify for these, Infracos will quantify their Capex and what it will take to rollout and how long it will take to break even”, he stated. The commission, according to the Executive Vice Chairman, Dr. Eugene Juwah adopted the Open Access Model to promote healthy competition, affordability and global best practices in our regulatory activities. 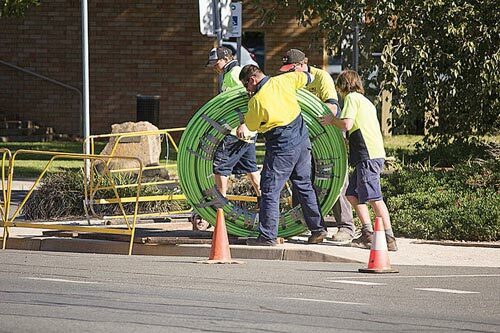 A telecoms expert, Kehinde Aluko said all will not be rosy for the InfraCos, as they will still have to contend with multiple taxation/Right of Way issues; unplanned towns and cities; damage to fibre cables; poor infrastructure sharing; security challenges and vandalism. Aluko urged the regulator to match actions with policies in getting the InfraCos off the ground.